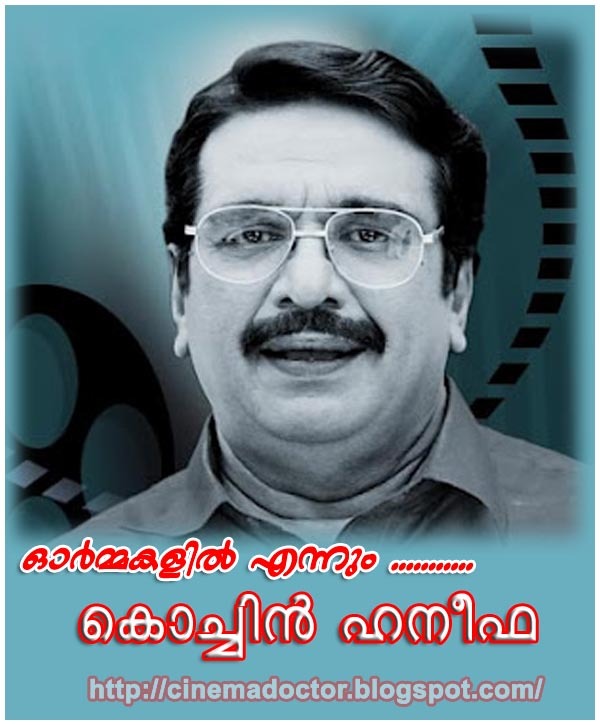 Popular Malayalam film actor, script and screenplay writer, dialogue writer and Director Cochin Haneefa (22 April 1951- 2 February 2010), was remembered on his second death anniversary on Thursday. Friends, relatives and colleagues of Cochin Haneefa participated in various programmes organised here to observe his second death anniversary. Salim Ahmed in real life, Haneefa started his acting career through the stage troupe Kochin Kalabhavan. Some films directed by him like ‘Valsalyam’ were box office hits and won critical acclaim. Haneefa took easily to comedy roles and his performances were received enthusiastically by film buffs. Mostly cast in the role of villain in the initial stages of his career, he later excelled in comedy. He had acted in over 300 films since his debut film “Mamangam” in 1979. He had also acted in several Tamil films. His performance in Kamal Haasan-starrer Mahanadhi won him acclaim from critics and fans. He had the audience rolling in laughter with his spontaneity in Kadhala Kadhala. More recently, his performance in films such as Rajinikanth-starrer Sivaji and Vikram-starrer-Anniyan were noteworthy. One of his last films was the recent Vettaikaran, with actor Vijay playing the lead. Cochin Haneefa died at a hospital in Chennai on February 2, 2010. He was 59. Haneefa was rushed to the Sri Ramachandra Medical Centre at Porur on January 28 with chronic gastrointestinal problem. According to a release from the hospital, despite intensive medical treatment, he died at 3 p.m.